Located between Barre and South Barre, Pine Ridge was a small ski area that operated for more than half a century. Originally known as the Barre Ski Tow, Pine Ridge likely dates back to at least 1950, when Bob Anderson purchased ski area. At the time, the area likely sported a 880 foot rope tow on a wide slope. A beginners tow was likely added for the 1951-52 season. On December 10, 1965, Pine Ridge Ski Area, Inc. was formed as a Massachusetts corporation. Later that month, Anderson and his wife Ina transferred land to the corporation, whilst acquiring additional tracts. 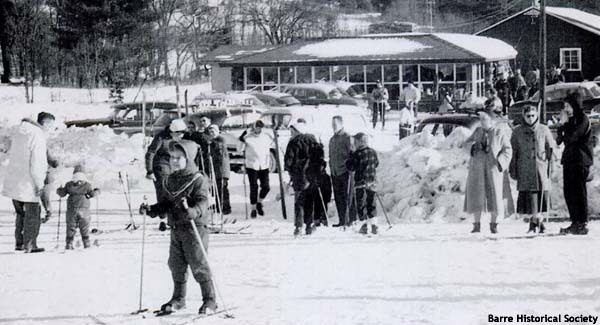 By the start of the 1966-67 season, Pine Ridge was advertised as having two Poma lifts and a J-Bar, as well as night skiing and snowmaking. There are no known references to the Poma lifts after this point. Additional land was purchased by Pine Ridge Ski Area, Inc. in late 1967. In 1970-71 listings, Pine Ridge had two T-Bars and a J-Bar serving 3 trails and 2 slopes. It appears the J-Bar was removed following this season. Circa the mid 1970s, terrain was cleared to the north of Pine Ridge with the aim to enlarge the area and install a chairlift. While a chairlift was reportedly procured, local opposition reportedly stopped the project. According to the New England Lost Ski Areas Project, Pine Ridge closed circa 1982 due to Anderson falling into ill health. By the end of the decade, the Town of Barre had placed a tax lien on the property. With Bob Anderson in ill health, Gail A. Anderson took over as President and Treasurer of Pine Ridge Ski Area. Inc. 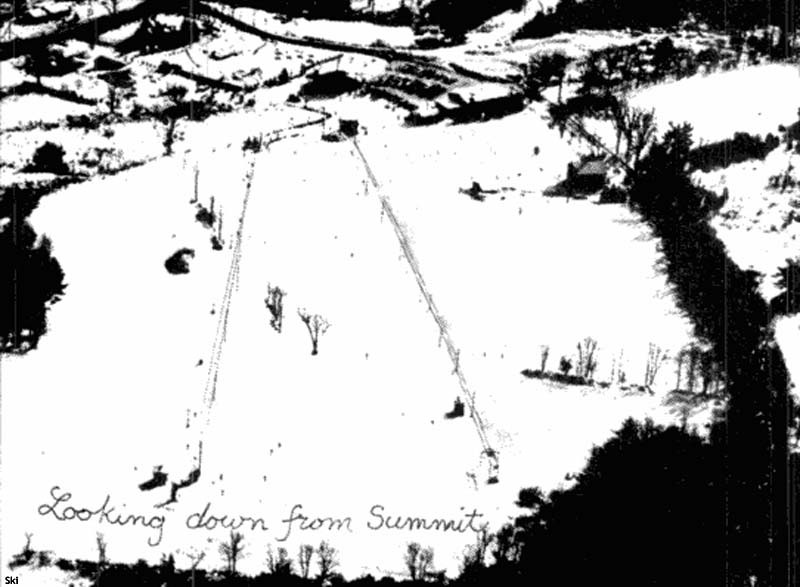 According to the New England Lost Ski Areas Project, the O'Connor family began operating the ski area in 1990. On July 1, 1993, Jill O'Connor's Auto H2O, Inc. purchased the tracts of land for $250,000, with Pine Ridge Ski Area, Inc. providing a $245,000 mortgage. According to the New England Lost Ski Areas Project, the longer T-Bar was removed around this time. 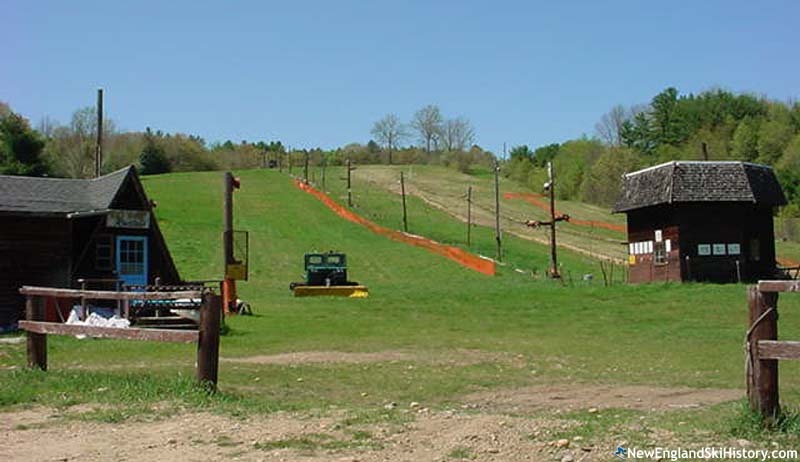 After operating throughout the 1990s, Pine Ridge ski area closed in 2001. On December 12, 2002, James Caruso formed C. R. Development Corp. In the summer of 2003, Auto H2O, Inc. transferred land back to Pine Ridge Ski Area, Inc., which then sold the land to C.R. Development Corp. for $285,000. After some uncertainty, Pine Ridge reopened for the 2003-04 season. While an investment was made in the bar, the on hill infrastructure continued to age. In an attempt to rebrand, the area became known as Pine Ridge Snow Park. On March 4, 2006, the T-Bar caught fire and was damaged beyond repair. As a result, the ski area closed for good. The Upper Deck Sports Bar is still in operation as of 2017. 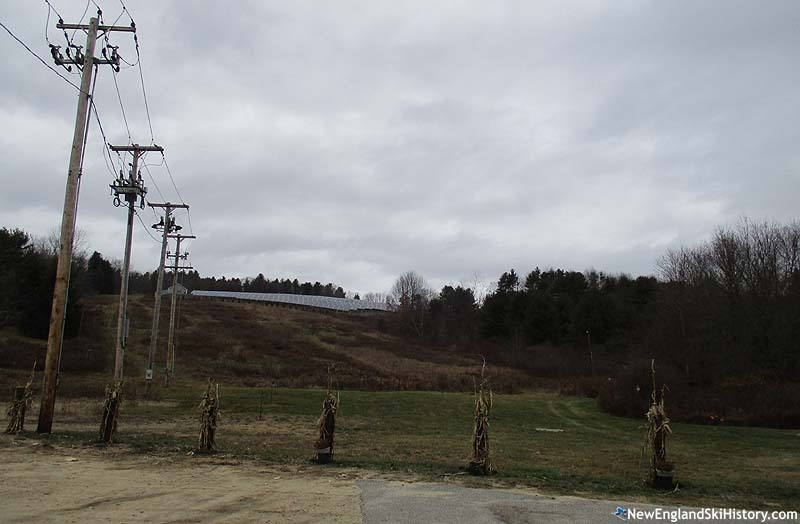 In May 2014, the 2.4 megawatt Kearsarge Barre I solar energy plant opened on the upper slopes of Pine Ridge. "Back in the day I payed 10.00 for a season pass! One night the wind was blowing and it was 20 degrees below zero. That night I made 50 runs using the rope tow. Wonderful memories back in the 1950’s . I now live in Maine, but grew up in North Brookfield. Marie"
"I remember traveling to Pine Ridge to learn to ski with classmates from New York City and staying for ski school. You could earn bronze, silver and gold stars for achieving certain proficiency at skiing and we would sew patches and stars on our parkas. This was around the late 1960s. Good fun."